. Now, Chrome fully supports the "autocomplete" attribute for form fields according to the current WHATWG HTML Standard. This allows webmasters and web developers to label input element fields with common data types, such as ‘name’ or ‘street-address’, without changing the user interface or the backend. Numerous webmasters have increased the rate of form completions on their sites by marking up their forms for auto-completion. Making websites friendly and easy to browse for users on mobile devices is very important. We hope to see many forms marked up with the “autocomplete” attribute in the future. For more information, you can check out our specifications about Label and name inputs in Web Fundamentals. And as usual, if you have any questions, please post in our Webmasters Help Forums. A lot of websites rely on forms for important goals completion, such as completing a transaction on a shopping site or registering on a news site. For many users, online forms mean repeatedly typing common information like their names, emails, phone numbers or addresses, on different sites across the web. In addition to being tedious, this task is also error-prone, which can lead many users to abandon the flow entirely. In a world where users browse the internet using their mobile devices more than their laptops or desktops, having forms that are easy and quick to fill out is crucial! 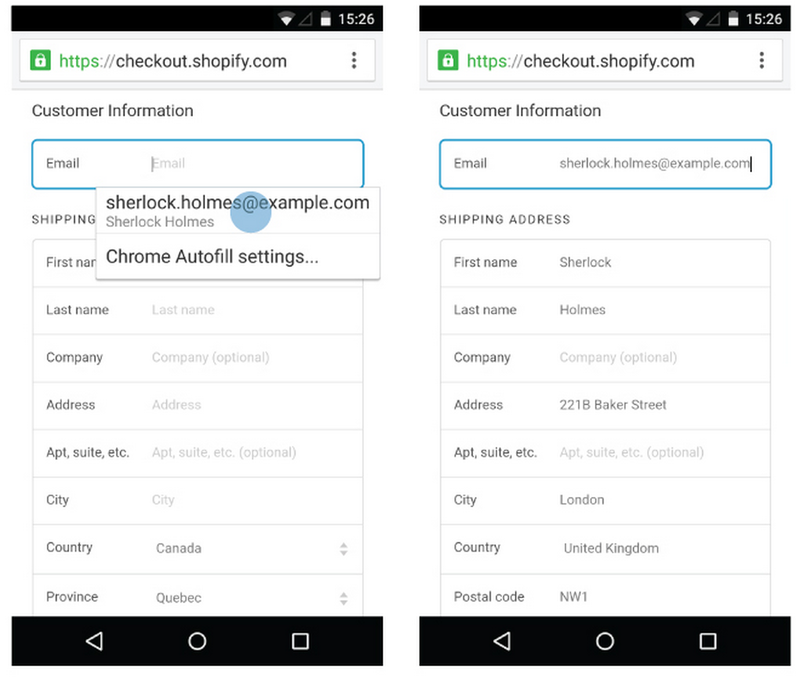 Three years ago, we announced the support for a new “autocomplete” attribute in Chrome, to make form-filling faster, easier and smarter. Now, Chrome fully supports the "autocomplete" attribute for form fields according to the current WHATWG HTML Standard. This allows webmasters and web developers to label input element fields with common data types, such as ‘name’ or ‘street-address’, without changing the user interface or the backend. Numerous webmasters have increased the rate of form completions on their sites by marking up their forms for auto-completion.